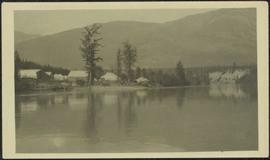 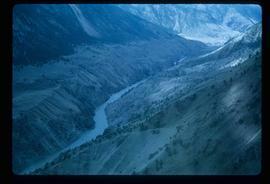 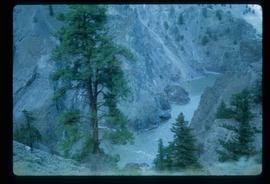 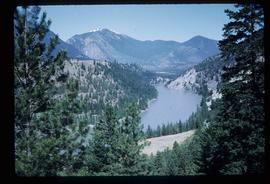 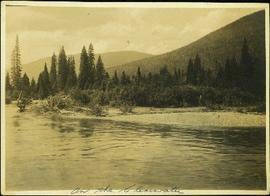 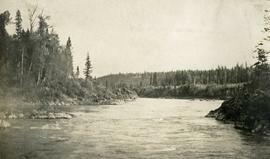 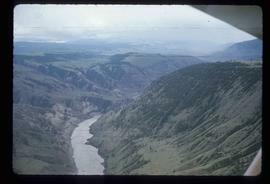 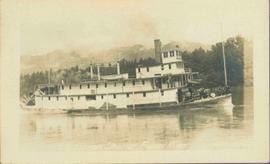 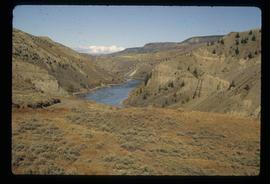 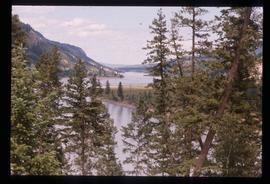 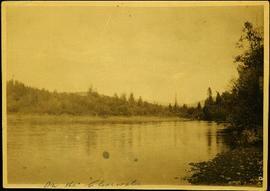 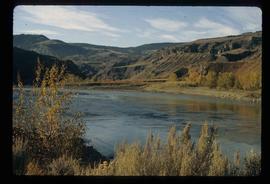 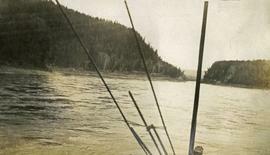 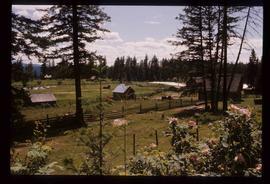 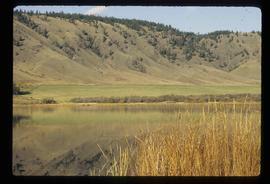 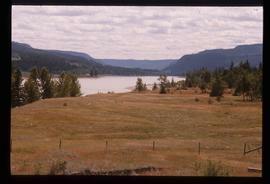 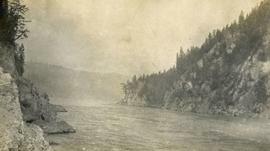 Photograph depicts opposite shore in midground behind river, tree-covered hills in background. 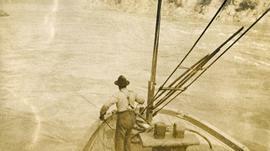 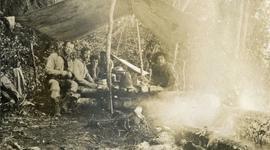 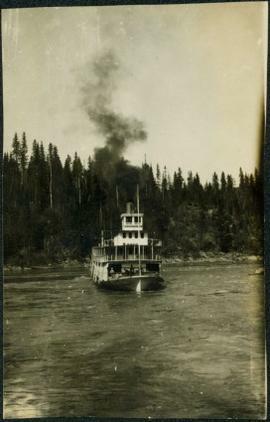 Handwritten photo caption on verso and recto of this photograph reads: "On the Clearwater". 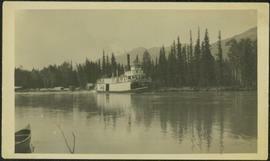 Photograph depicts men standing on upper deck of conveyor, close to opposite shore, where lumber and buildings can be seen. 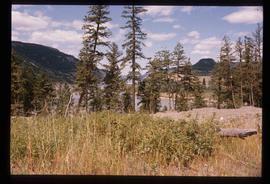 Canoe in left foreground, trees and mountains in background. 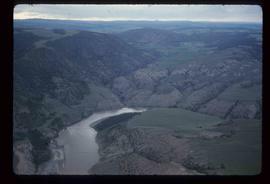 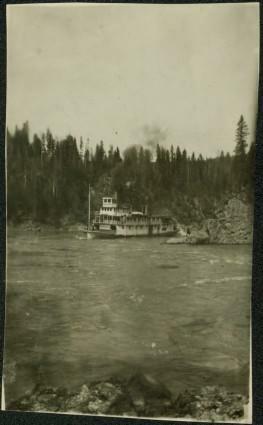 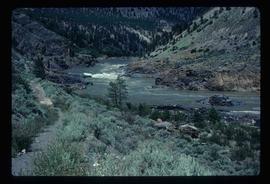 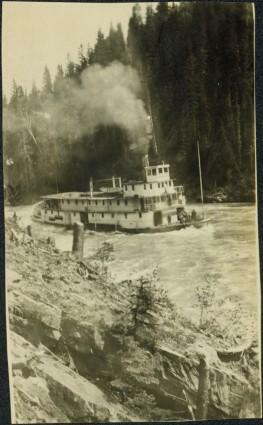 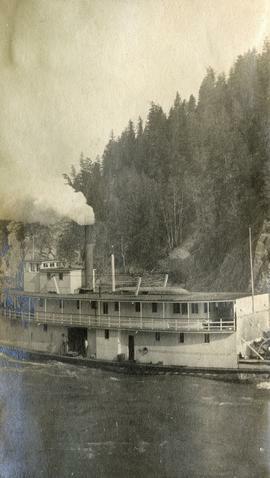 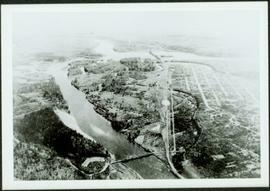 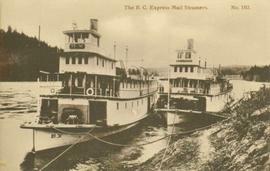 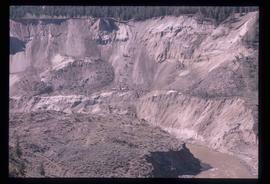 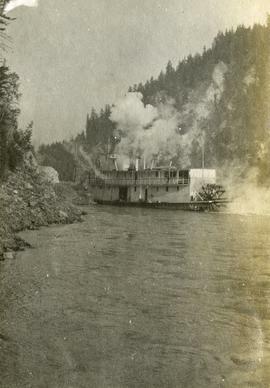 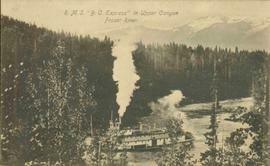 Photograph depicts a river scow in midground, close to opposite shore. 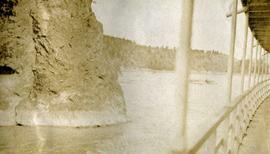 Handwritten photo caption on verso and recto of this photograph reads: "In the Grand Canyon." 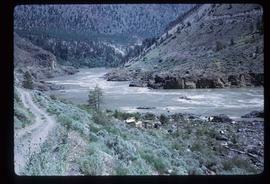 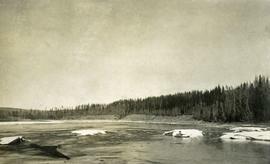 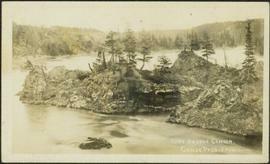 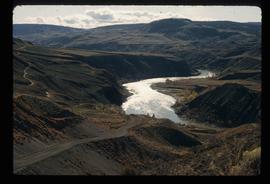 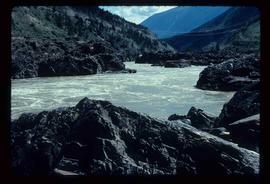 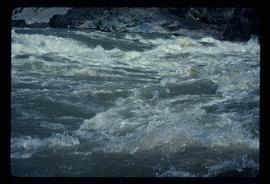 Photograph depicts open river waters with some patches of ice on the river shore. 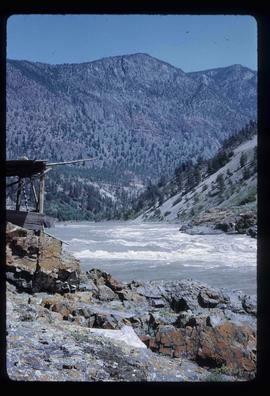 There are riverbanks and trees in the background. 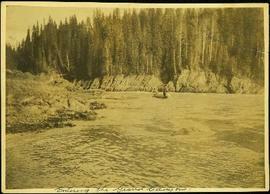 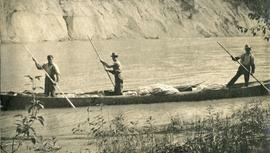 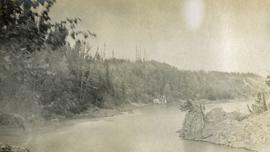 Photograph depicts two men standing and paddling in canoe on river, trees stand above rock face on opposite shore in background. 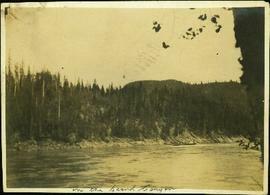 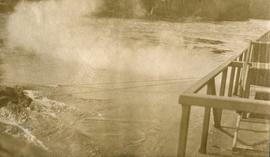 Handwritten photo caption on verso and recto of this photograph reads: "Entering the Grand Canyon."